Webster University Geneva has announced the appointment of Michel Pollak as director of Human Resources. Before joining Webster University, he founded and managed a company specializing in externalized human resources services. 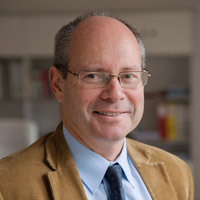 Prior to this, Michel worked in the human resources departments of large, local industrial companies as well as with reputed education institutions such as Le Collège du Léman and the Graduate Institute. In this new function at Webster Geneva, Pollak will be responsible for leading the Human Resources department. At Webster, he intends to align processes and organization with the vision and objectives of the Geneva campus. He will also lend his professional support to the accreditation’s project team while actively contributing to enhancing the workplace environment. Pollak received his Bachelor of Science in Civil Engineering at Rensselaer Polytechnic Institute in Troy, New York, and his MBA from HEC, University of Lausanne, Switzerland.